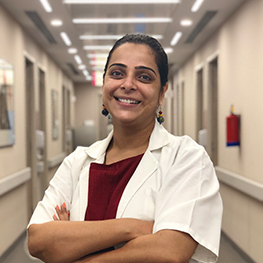 Dr Leena Yadav has worked as an Obstetrician & Gynaecologist with renowned hospitals like Paras & Artemis in Gurugram in early days of her career. Post that she has a rich experience of working with the Pioneers in IVF from UK who created LOUISE BROWN, the world’s first IVF baby for almost 4 years, thereby focussing herself completely into fertility as a Senior Consultant in Fertility & IVF. She has done her MBBS from D.Y. Patil Women’s Medical College, Pune, her DGO from College of Physicians & Surgeons of Mumbai, Mumbai University, recognized by MCI and her MD (Obs & Gynae) from Texila American University, University of Nicaragua. She has almost 7+ years of experience and strives hard to help a couple achieve a new milestone of parenthood in their life. Her primary areas of specialisation include IVF/ICSI , Donor Egg IVF , Donor sperms , Embryo Donations , IMSI , PICSI , Frozen Embryo Transfer cycles and Evaluating Male factor Infertility.